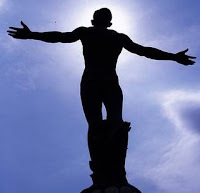 Home » Entrance Examination » UPCAT 2010 Results now Online! Today, January 18, 2010, UP just released an Online Results of UPCAT or University of the Philippines College Admission Test for incoming Annual Year 2010-2011. Luckily, some of my schoolmates in highschool (MSU-CETD) passed the standards of UP. The data found in this page were fetched from the UPCAT website last January 18, 2010. This is not an official results page.